A loan of $525 helped to buy chicken feed for his laying hens. El Hadji Massal is a young entrepreneur who created a Economic Interest Group with other members of his family. His lines of business include: agriculture, poultry farming, breeding, general trade, transport, the import-export business and the provision of services. However, he would like to use this loan to develop the poultry farming element. He actually owns a large farm in a neighbouring village, where he has invested in 5000 laying hens. 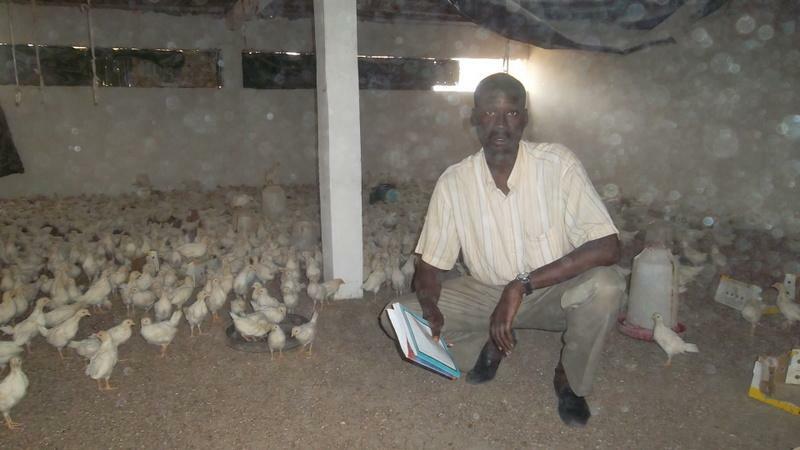 El Hadji Massal is requesting a loan of 260 000 francs with which to buy 20 bags of feed (at 13 000 francs / bag) as this is the start of his hens' laying period and their feeding increases. El Hadji Massal is 47 years old, married and a family man. He has 10 years' experience in this area. He takes care of his family's daily expenditure and his business should also have a positive impact on his neighbourhood as he plans to help a lot of the youth in his area by offering them small jobs, on which they will be able to count to help them meet their small daily needs. Translated from French. View original language description. This loan is administered by UIMCEC, a Kiva Field Partner in Senegal since 2008. UIMCEC is a government-regulated microfinance institution whose mission is to improve the revenue and well-being of families through access to financial services, allowing principally women and young adult micro-entrepreneurs living in rural and semi-rural areas to develop their revenue-generating businesses and supporting them in becoming financially self-sufficient. UIMCEC prioritizes client empowerment. Not only can clients join the organization, its board is entirely composed of borrowers. On top of this, the institution has made efforts to offer reduced-rate loans to poor clients using Kiva’s flexible, risk-tolerant capital.